Bicyclists are 17 times more at risk of losing their life in a traffic accident! You are here: Home / Car Accident / Bicyclists are 17 times more at risk of losing their life in a traffic accident! Riding a bike, driving a motorcycle, or walking on the road puts you at greater risk of injury if you are hit by another driver. Considering the number of car accidents that occur every day, driving can be called one of the most dangerous activities we undertake on a day to day basis. According to the available statistics, about 30,000 traffic fatalities occur each year. It is important for drivers to keep safety in mind when driving, particularly because they share the road with more vulnerable users such as bicyclists, motorcyclists, and pedestrians. If you were injured by another driver while your were riding your bike, driving your motorcycle, or walking on the street, you deserve compensation for all of your injuries. While the occupants of a car are essentially protected by the car itself, motorcyclists, pedestrians and bicyclists have a minimal or no protection if they are in a car accident. When it comes to cyclists, motorists should slow down and keep maximum distance from the cyclists. In a number of US states, motorists have to follow a ‘three foot law’. This law indicates that car drivers should maintain a three foot distance between the outer most parts of the car, to outermost part of the rider while overtaking. Moreover, the law also gives right of way to two wheelers, dedicating an entire lane for cyclists and motorcyclists, or the right hand shoulder depending on the traffic conditions, road conditions and speed. Motorists should refrain from indulging in negligent and dangerous driving behavior such as drunk driving, driving under the influence of drugs, using the phone for calling, texting, listening to music and any other distractions that can cause on-road accidents. 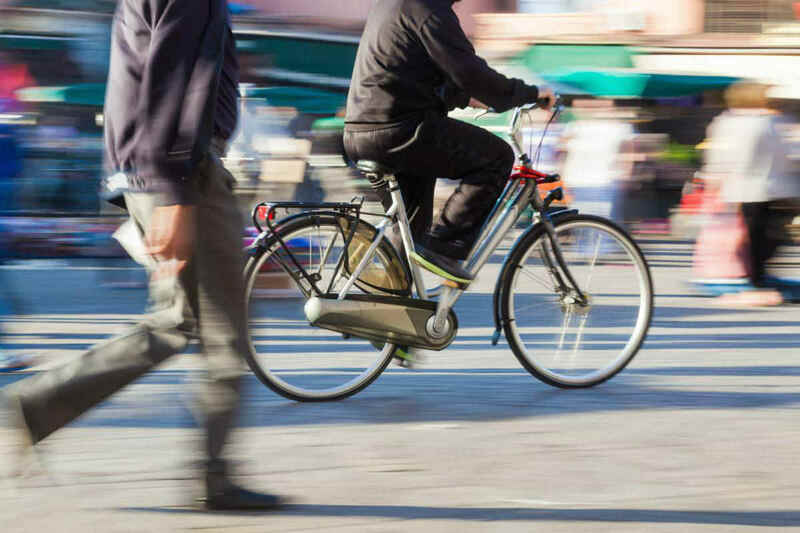 Cyclists and pedestrians alike can claim for compensation if they are injured in a car accident and can hold a motorist liable for negligent driving. If you have been injured by the negligence of another driver, contact The Hoffmann Law Firm, L.L.C. by calling (314) 361-4242 or by filling out our online contact form. As one of the preeminent firms helping victims of St. Louis car crashes, we understand how to build strong cases. When you hire our firm, you can be confident that everything will be done to protect your rights and recover the compensation you need.